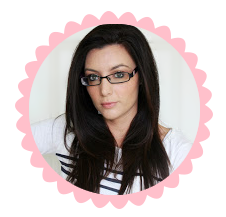 Last week I went to Dublin in search for some winter essentials. On the top of my list was a winter coat and black court shoes for work. 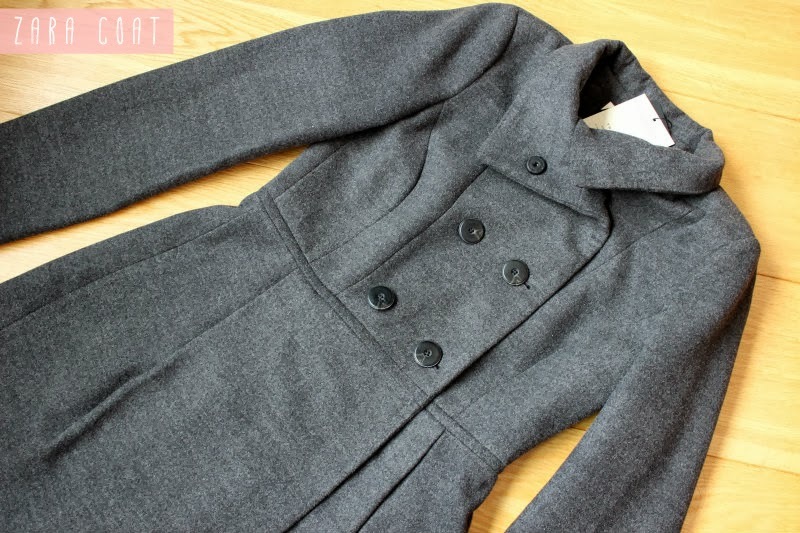 When I was in Zara I spotted this coat and thought to myself oh that looks like what I am looking for. When I tried it on I fell in love. It is the perfect fit and just hits above my knee. It was €69.95 which I feel is good value as it appears to be very good quality. My mum was adamant I buy decent shoes for work claiming "you are either in your bed or in your shoes so you need to get good shoes". I spotted these in Aldo for €90.00. It kind of killed me to spend €90.00 on shoes that aren't even pretty but they are real leather and cushioned inside but, they look smart on and elongate my legs. Next up Primark, I was actually in the dressing room and spotted a girl trying on the above coat and thought it looked cute so I decided to pick it up. It was only €35.00. 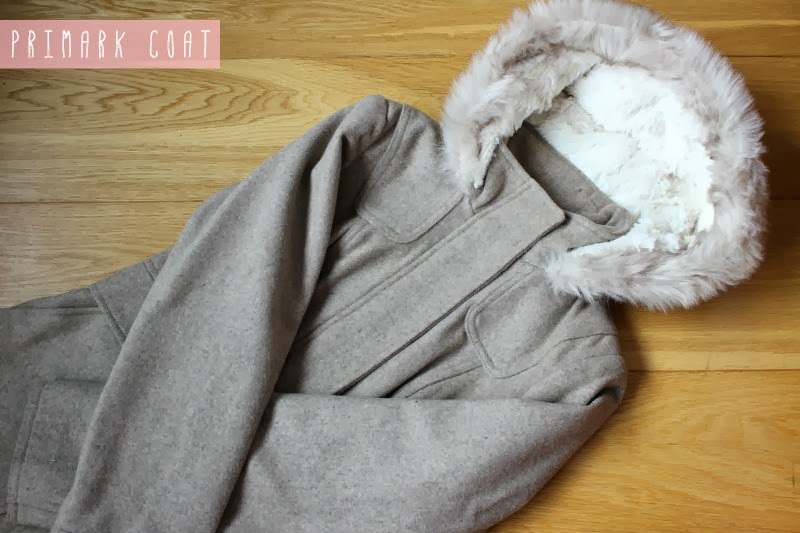 It is super snugly and the perfect smart/casual piece for the weekends. 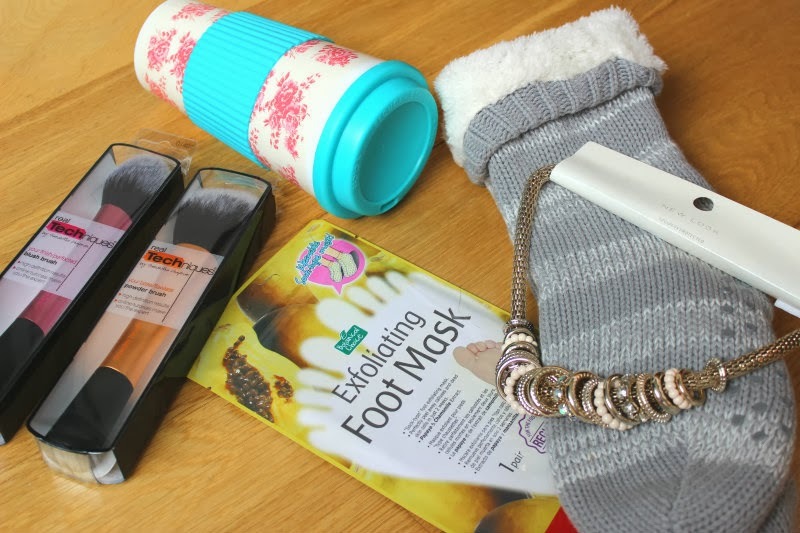 I also purchased the tea mug, slipper socks and exfoliating foot mask in Primark. I have read rave review about the foot mask so I am excited to try them out. No doubt I will feature a review on them in the future. The next thing on my list was a new pair of Hollister jeans. I live in these and my old pair were starting to lose their shape so I decided it was time to buy a new pair. 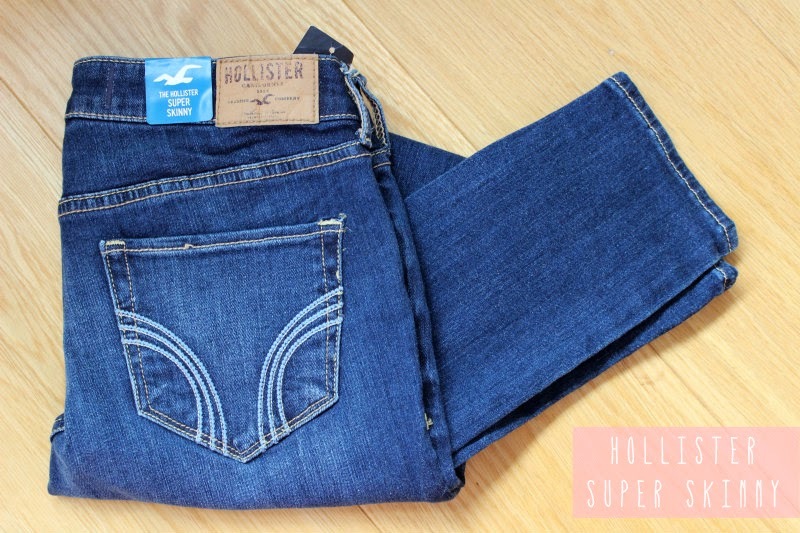 It helped that Hollister currently has 20% off jeans so they only cost me €48.00. Finally when I was browsing through New Look I spotted this pretty skater dress and necklace. I love the colour of the skater dress. These are one of my favourite style of dresses as you can dress them up or down depending on the occasion. I couldn't help but pick up two new Real Technique brushes as in Boots at the minute it is buy one get one half price across all beauty ranges. A spending ban has now officially started for me. Have you splurged on any winter essentials?